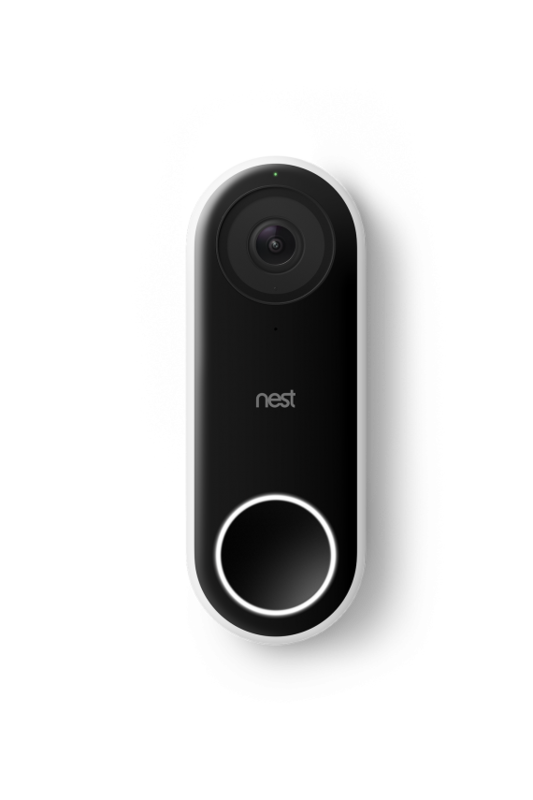 The Nest Hello video doorbell evolves the way both people inside and outside the home interact at the front door. We reimagined a long established product by creating new ways to communicate with the world outside a home. Nest Hello replaces standard wired doorbells. It uses the existing wires and chime at the house to give customers an enhanced video doorbell experience and security. Nest Hello monitors the front door 24/7, sending alerts to homeowners when familiar or unfamiliar visitors are there, even if no one rings the bell. Nest Hello allows people inside the home to interact with visitors from anywhere and provides pre-recorded Quick Responses for when they can’t get to the door. Most importantly, the wired design allows for constant streaming and ensures you’re capturing everything that happens. A premium imaging sensor, glass lens, and plastic housing all work together to record crisp HD video. The housing is high-quality plastic with a glass lens, and the wall plate and 15° wedge are made of aluminum. Nest Hello uses the same app as our other Nest products – the main differentiator is the type of video shown. The tall format is designed to show visitors head to toe, and packages on the ground.